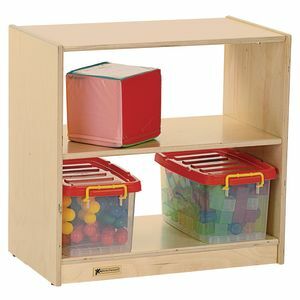 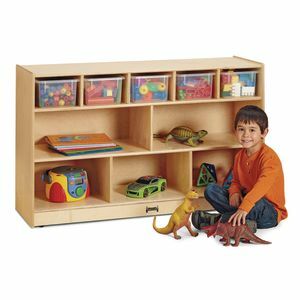 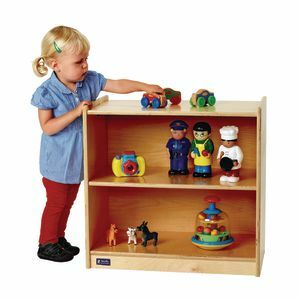 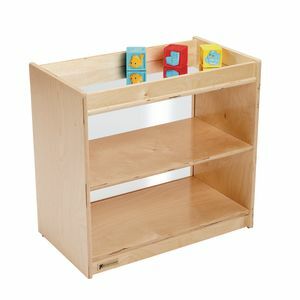 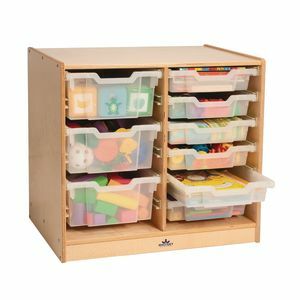 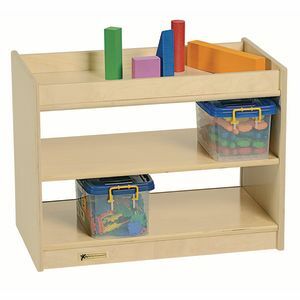 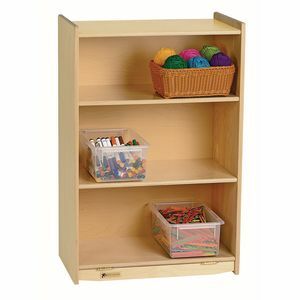 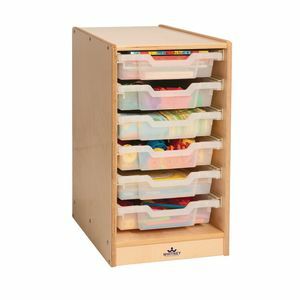 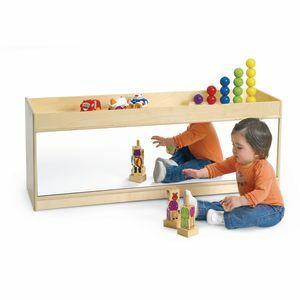 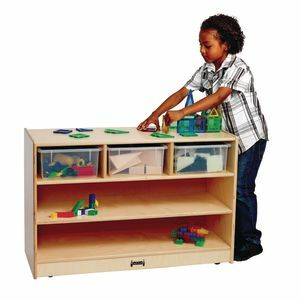 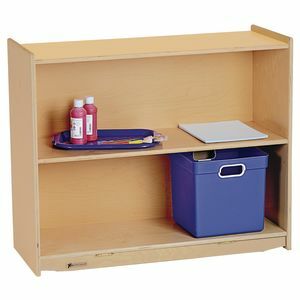 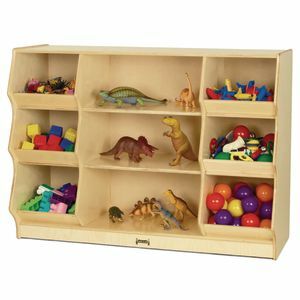 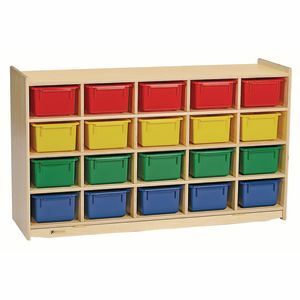 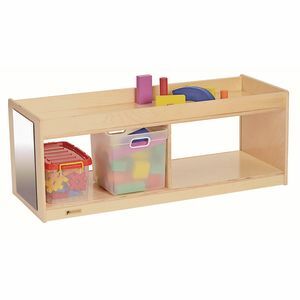 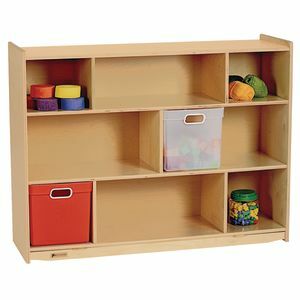 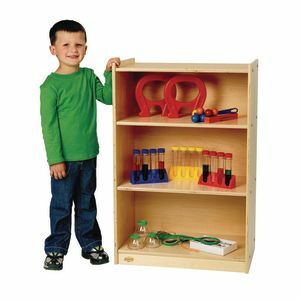 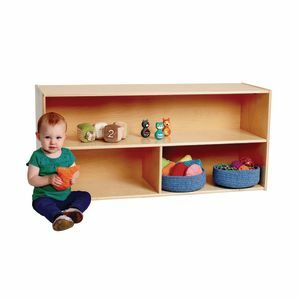 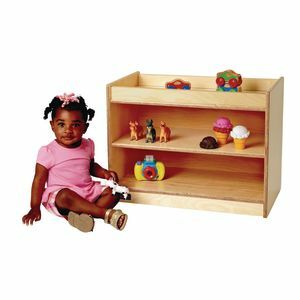 Great for storing toys, craft materials and more! 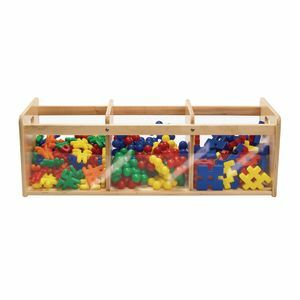 Large, open bins make objects easy to locate and retrieve. 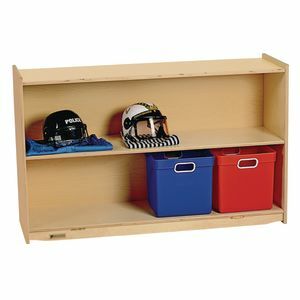 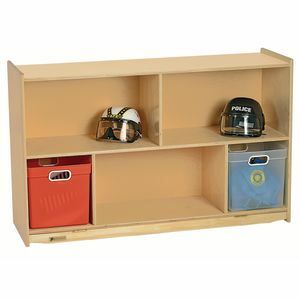 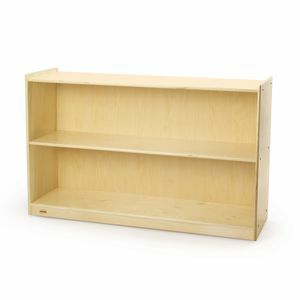 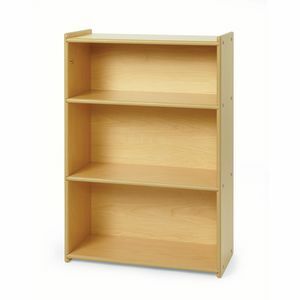 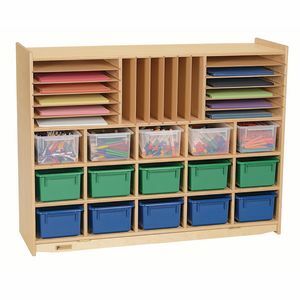 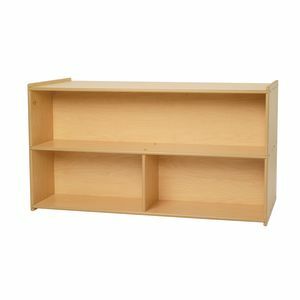 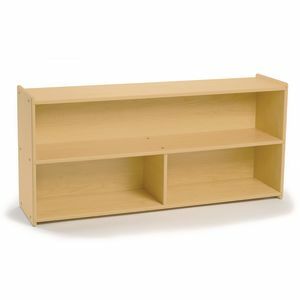 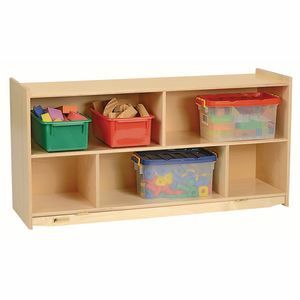 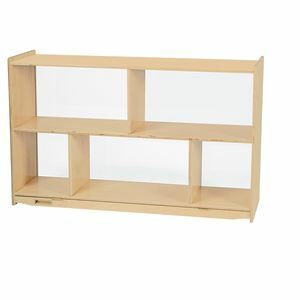 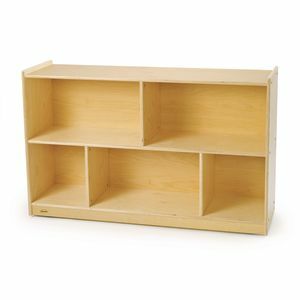 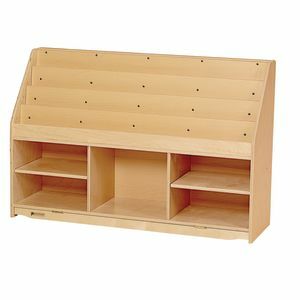 Features 6 spacious storage bins with 3 central storage shelves Each storage bin features a beveled lip for increased storage capability Made of durable Baltic birch 48"W x 17-1/2"D x 35"H Lifetime Warranty Fully Assembled CARB II and CPSIA compliant Made in the U.S.A.